Lots of home buyers get a FHA loan especially first time home buyers with limited credit history. This is a good loan product that is backed by Housing and Urban development. This loan allows buyers to buy with a minimum of 3-1/2% down payment. This down payment may be gifted, or come from a grant or down payment assistance such as the bond program. This helps lower income buyers participate in the home buying process. Since FHA allows buyers to buy with a low down payment and often have little to no money of their own invested in the property, the risk of foreclosure is higher. Therefore mortgage insurance is required. Mortgage insurance protects the bank incase the borrower defaults. Unless a borrower puts a minimum of 10% down on a FHA loan, the mortgage insurance remains on the loan for the life of the loan. Consequently, a borrower with a strong credit history and a high credit score may decide to use a conventional loan where the mortgage insurance will fall off after the value reaches a 78% loan to value or the borrower requests it at an 80% loan to value. FHA charges an upfront fee, currently 1.75% of the loan amount as well as a monthly fee. Recently the government lowered this fee from 1.35% per month per annum to .85% per month. This is a huge savings for buyers using a FHA loan. How this equates. I will use a 100,000 loan for ease of numbers. Note the savings on a $200,000 loan are double. 100,000 loan with a 1.35% per month per annum fee is $112.50 added to the loan each month. 100,000 loan with .85% per month per annum fee is $70.83 added to the loan each month. This makes the monthly mortgage payment more affordable. This is a substantial savings over the life of the loan. I believe in todays market that having good pictures on the web advertising a listing can cause people to look at a house, while not having good pictures could cause some people to not look at a house. The Oklahoma City multi listing services allows a realtor to put 20 pictures on it. So many times I see a listing with only one or two pictures or just pictures of the outside. It often makes me wonder what is wrong with the house. Does it need work or updating. These pictures should be of good quality, not fuzzy or blurry. They should show you the house from various angles and give you a feeling of being inside. I personally take pictures of the backyard as well as the front so buyers can see the size of the backyard and if it has any extra features like a covered patio or pool. It is sometimes hard in a small house to find 20 different angles to photograph especially of a 2 bedroom, 1 bath house. In that case, I still take multi angles of the living room, kitchen and bathroom. I may take pictures of the central heat and air unit to show age and condition. In an extremely large house, I may find that I need more than the 20 photos allowed to show all the rooms especially if I want multiple angles. Fortunately, there is software that will allow me to stitch photos together so I can get more than the 20 photos on the MLS. 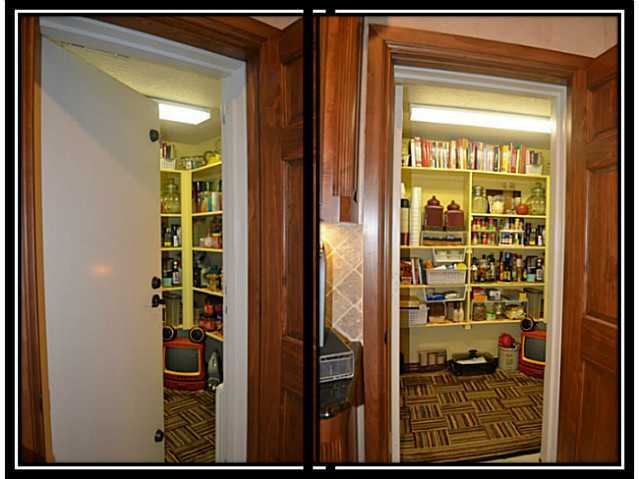 I did this with a home that had a safe room as a pantry. I wanted to show the safe room all the way open and then with the door partially closed. It gave buyers an insightful view on the house. In my last post I talked about pricing a home right to sell even if it means bringing money to the table. While there is nothing illegal or immoral about a seller bringing money to the table to clear the note and sell a property, it just seems wrong to many people. This is an investment and as an investment, it ought to make you money or at least cause you to break even. So sometimes people think that the alternative is to rent the property. The renter can pay down the mortgage and then they can sell the property without bringing money to the table. That is understandable. However there are some things you will need to consider if you chose this path. 1. Either study the landlord tenant act and know it or hire a property manager. You need to know the law and follow it. 2. Make sure you have a separate bank account for the rental property and the escrow. 3. Have some savings for repairs. While you may be ok living with a broken a/c or garage door opener until you have the funds to fix it, your tenants will not. 4. Have some savings for times of vacancies or when your tenant is late paying or doesn’t pay at all. You still need to make the mortgage payment. 5. If you are going to manage your property yourself make sure you know how to properly screen a tenant. Just because they have the deposit and first month’s rent doesn’t mean they will have the next month’s rent. 6. Drive by your property and check on the inside occasionally. Your lease should give you authority to inspect with notice. 7. If you are moving out of town or state, hire a property manager. It will cost but it will be worth it. 8. Plan on painting and making some repairs when the tenant moves out. The security deposit may not cover all of it. These are the basics considerations when considering whether you should rent out your property rather than selling it. There is also emotions that will come into play. This may have been your first home or one your fixed up. It is heartbreaking to see others not taking care of your house the same way you might. So decide if you are willing to do all these things or if it might be better to just sell it and move on. I personally have rental property. My very first rental property was one that my husband and I bought in Omaha, NE and then learned a year later we were getting transferred to Oklahoma City. We didn’t have the money to sell the house and decided to rent it. And of course we did it ourselves out of state. So I have been there. It was a learning experience. The education cost me some money. I will never personally have a rental that is not within a 20 mile radius of me. But that is me. Sometimes people buy a home with the intention of living there for a long time and then life changes and they need to move. Depending upon when they purchased the house and the market, there may or may not be enough equity to sell the house without bringing money to the table. If they put money down when they purchased the property there is no guarantee that they will get all that money back when they sell. It is a hard conversation to have with a seller, but an important one. A house is simply not worth what the seller needs, rather what the market dictates. So the question is always what should we do in that case. I have had several sellers want to list the price above market value in order to cover costs. Sometimes these sellers have transfer orders or need to move now so the house is left vacant. In this case I simply ask the seller if they want me to give them an accurate value and list it to sell quickly or would they like me to lie to them about the value, put it on the market at a price I know will not sell, and then reduce it every couple weeks until it gets to the actual market price. Of course, Mr. Seller, by that time you realize that the days on market is going to be long and then buyers are going to think they can negotiate for a price below market. In addition to not selling quickly, there are holding costs associated with a house that is not selling. The seller still has to pay the mortgage, utilities, maintenance and upkeep. Even if the house is paid for there will be taxes and insurance accruing on the property. Therefore I will usually ask a seller who is in this situation, “Do you want to bring the money one month at a time or all at once?” The seller who is going to pay the holding costs waiting for a buyer is bringing money to the table so to speak–one month at a time. So why not simply price the house correctly at first. The market will always determine if the house is priced correctly by either supplying a buyer or not. If you are looking for an experienced realtor to give you an honest assessment of your property, please contact me 405-213-2992 or visit my website. Rental property can be a great investment. As an investor you provide a much needed commodity for a person or family while they pay the mortgage on the house and provide you with a little extra money each month. Over the years I have helped several people start and/or add to their rental portfolio. Most of my clients tend to manage their own properties, while others find a property manager to screen tenants, and hire maintenance people. Banking rules regarding investment property have changed greatly over the past several years, so it is advisable that you speak with a banker prior to starting your search. You should also obtain a copy of the landlord/tenant act and read it, study it, and read it again. It is important that you understand what the law says regarding your rights and responsibilities. As you begin your search for your first rental, you will need to decide where you would like to buy. You might consider looking close to you where you work or live so you can check on it, especially if you are planning on managing it yourself. Once you have found the property and purchased it you will want to get it rented as soon as possible. Investors don’t like their properties to be vacant. It costs money to have a vacant rental and there is always the risk of vandalism. However, I think it is worse to put an unqualified person into the unit who tears up the property and doesn’t pay you. The most important and complex part of renting is screening the tenant. Have an application that you have everyone interested in renting fill out. You can use one from the office supply store or make one up yourself. Some landlords charge a nominal fee to run an application. This often deters people who know they don’t qualify from applying. I personally do not charge a fee. You will need to verify the information on the application to make sure it is true. I suggest verifying the address on the applicants driver’s license to the application. Check to see who actually owns the property where they live, verify that is the same name that is listed on the application. If not, it could be a property manager. The law in Oklahoma says that a property manager who is not the owner of the property managed must possess a Oklahoma real estate license. Verify all phone numbers to see who they actually belong to before calling them. They could be the applicants friends. I had an applicant that listed a cell number for his employer and said that was the only number he had. So I asked to see pay stubs. He had none and said he got paid in cash. I can’t verify that and didn’t rent to him. Determine what your criteria you are going to use to qualify a tenant. My qualifications are 3x the rent in income (meaning if rent is $1000 a month, tenant must earn $3000 a month or more), no evictions, or felony convictions. You need to use these same requirements for each and every tenant. You will want to decide if you are willing to rent to people who smoke or not (although I think this is crazy to monitor) and also if you are willing to accept pets. If you do accept pets, I would suggest a pet deposit. A pet deposit is very common. Once you have approved a tenant, have everyone sign a lease. The lease should be comprehensive. In real estate everything needs to be in writing so put it in writing so everyone has the same expectations. This is just the beginning. This is not meant to be inclusive and if you have legal questions, please contact a lawyer. I will blog some more later about what should be in a lease as well as other landlord issues. Investment property is a great way to build wealth. The investor can write of off many expenses and depreciate the value of the property on their taxes over the years. While making a profit from the rental income, they also are able to obtain a tax benefit from the investment. Over time an investor may decide to exchange a property with a high equity position perhaps a free and clear property to a larger property or to multiple properties that provide additional cash flow. The investor may want to diversify into other geographical areas of the country. When an investor sells their property they are liable to pay several taxes. These include capital gain taxes to both federal and state, recapture tax on the depreciation, as well as the ACA tax of 3.8% if the investors taxable income in over the designated amount. ($200,000 for a single person and $250,000 for a married person at the time of this writing). This can add up fast and take up to approximately 50% of the profit to pay these taxes. For this reason, people sometimes think twice about trading properties. But there is a way to trade properties without paying the taxes. By using a 1031 exchange an investor can defer the tax burden. This allows them to keep more money to invest in other like-kind exchanges. While this does not eliminate the tax burden, it does defer it. And it can be deferred into a passive trust or a vacation rental when the investor decides not to be as involved in managing investment properties. The investor will need to work with a “Qualified Intermediary” to facilitate the transaction. And it will need to be stated in the contract that the sale is subject to a 1031 exchange. This is just a simple introduction to 1031 exchanges. If you have additional questions, regarding time lines and other benefits please ask. As always it is recommended that the investor discuss a 1031 tax deferred exchange with tax and legal advisors.